Pros Gets the top spot on our short list for customer satisfaction. 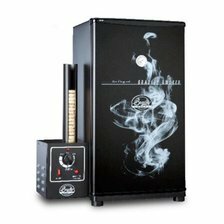 A trusted manufacturer and a top-of-the-line smoker. Comes with a protective cover. Cons Doesn't have a lot of fancy features, but consumers love it for its exceptional quality. 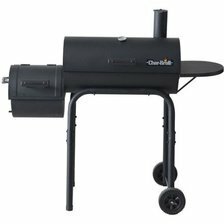 Summary Trusted brand name and high-quality, rugged design make the Weber our top choice for the best smoker money can buy. Pros Using the Bradley smoker is easy, and cleaning it is a breeze. Features an automatic briquette feed that makes powering the unit almost effortless. Cons We found that the Masterbuilt has more cooking space. 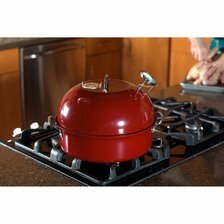 Summary Similar to the Masterbuilt in quality and features, but the Masterbuilt's larger cooking capacity make it a better deal. 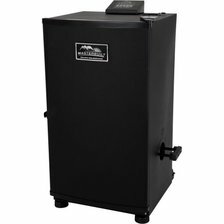 Pros Incorporates a lot of features into one value-priced smoker. Side-loading wood chip tray and "set and forget" digital temperature control make smoking food convenient and easy. Cons Some testers noted occasional construction and electrical flaws. Summary User-friendly features and an affordable price earn the Hunter our top marks for the best value on the market. 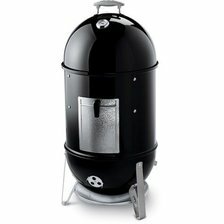 Pros Basic and small, yet offers the unique feature of doubling as an indoor smoker. Cons Cooking lots of food for large groups of people isn't an option with this small smoker. Summary A smart choice for those who don't need a large smoker, and who like the idea of being able to smoke food indoors. Pros A basic smoker that is easy to use. Has all of the functions that owners need without a high price tag. Cons Flaking paint and some other minor quality issues don't concern users who like the affordable price. Summary Has some minor flaws, but still a solid choice for bargain-minded consumers. Comes in second place to the Masterbuilt for being the best deal available.